Brebbia - "Grandi designers della pipa"
Brebbia about the "Grandi designers"
With the serie "Great pipe designers" we would like to tell you about the people who have contributed most to giving variety and interest to the world of pipes, producing their creations, which we have selected specially, in small runs, on licence. 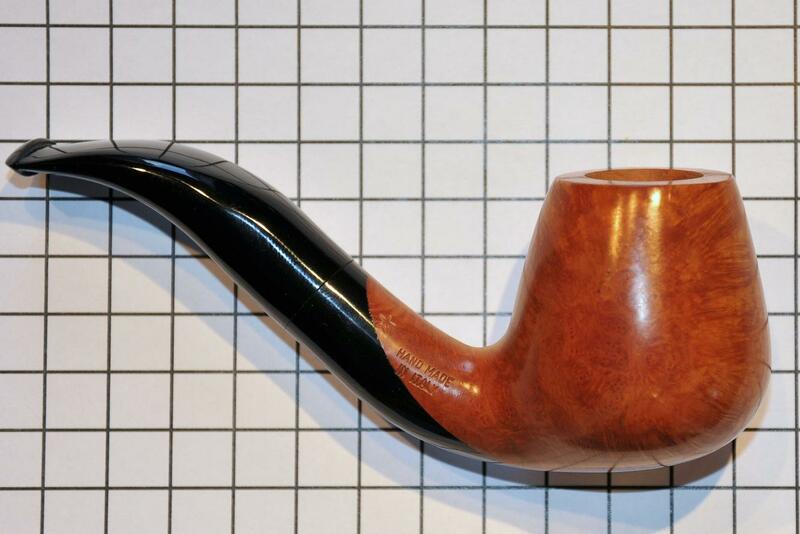 It is a tribute which we owe to the artists and a way for you to learn about the evolution of pipe design. Disclaimer: The above text as well as all text related to the designers below are taken from the booklet "Grandi designers della pipa" edited by Brebbia. All textes are Copyright portected by Brebbia and cannot be further used. For any request or comment related to the content, please contact us or directly Brebbia. The tobacco chamber measures 20mm in diameter and 45mm in depth. 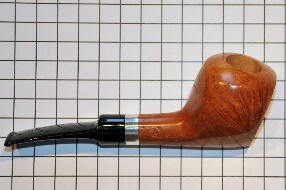 Pierre Müller is a Geneva jewelier whose hobby is the pipe. 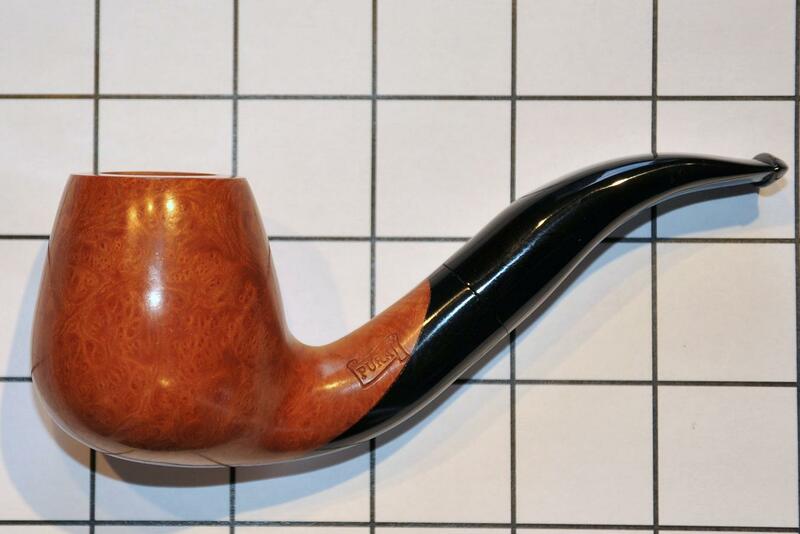 We all know that pipe smokers are generally distinguished, special, creative, with a marked taste for appearance and elegance and in many cases performing complex design activities, perhaps because the pipe includes reflection. Up to this point Mr. Pierre Müller fits the category well. But he soon transformed his hobby into a real passion to the point of buyin, as well as pipes, a myriad of articles connected with them, transforming his home in a museum. On pictures, sculptures, towels, coathangers, cups, trophies, wall-mounted-plates, bottles and lampshades, pipes appear everywhere, drawn, sculpted and painted. Wife and daughter look on with pleasure, but the thing which strikes one most is the harmony which reigns in the Müller house. Nothing is out of place and you immediately feel at ease and intrigued in surroundings which are so special and at the same time so domestic. Pierre Müller is an unpredictable person, extremely polite but at the same tim reserved, sociable but jealous of his privacy. He does not talk much about his life and one understands that it has not been either simple or easy. Also one has the feeling that he wants to express with his eyes and with the pipes he produces an interior equilibrium, a harmony that cannot be bought or sold but which one can admire in its essentiality and formal purity. For him the most important thing, apart of the capacity of managing to transmit it to others is something which one may summarise as the pleasure and joy of living his own life in harmony with dear people and places. Born in 1927 Pierre G. Müller spent the first years of his life with his grandparents in Losone in the Canton Ticino. He then moved to Basel to complete his studies and learn the trade. His maternal grandfathr is his reference and the memory in his early youth of a happy period. From him he learnt the art of pipe smoking and an appearance of a gentlemen of another period. When he was twenty he had to face the reality of the world of work, being able to count only on his own efforts and he moved to Geneva where, thanks to his previous studies as a goldshmith and his considerable creativity, he was able to become a creator of jewellery in the city's most important ateliers. Feeling the need for contact with the public, when he was thirty he foud employment at the Cronos company, in the Rue du mont Blanc. He soon became succesful in his new surroundings, advising an international clientele and selling watches and jewels. In 1971 the owners, who had reached retirement age, transferred the activity to him on credit, giving him the possibility of paying for it in instalments, trusting Müller's seriousness and commercial activity, which would bring a succesful end to the interminable agreement several years later. His free time he dedicates to pipes, visiting other collectors and smokers' meetings, gaining various international recognitions. He has also made gold prototypes or small series of crests for some Pipe Clubs, including those of the International Committee of Pipe Clubs (www.pipeclubs.com) ant the International Pipe Academy (www.pipeacademy.org). 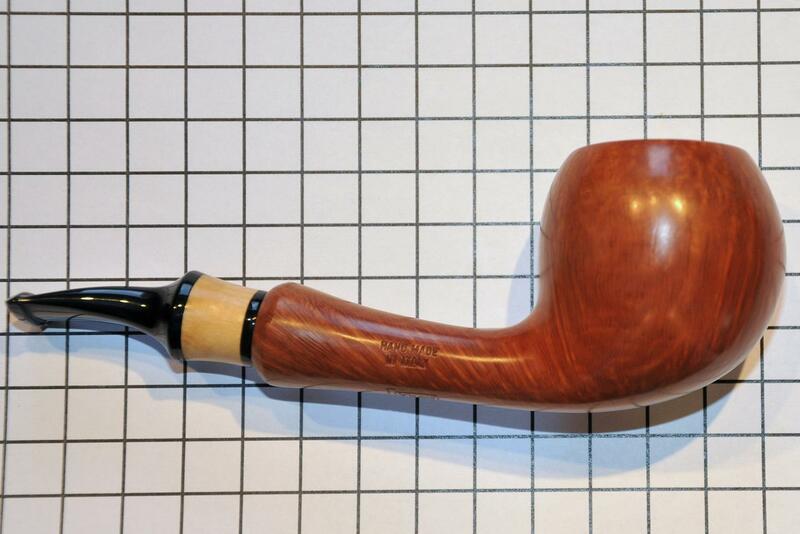 The occasion to realise his first pipe came in 1977 when he took part in the competition of the Genoa Superba Pipe Club aimed at people for whom pipes are a hobby, causing a sensation with his clean and innovative, but above all elegant, line. 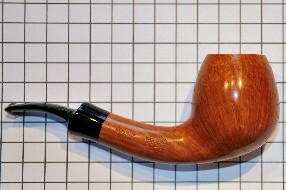 For him the "Noble Instrument" must be excellent to smoke, graceful to the hand and the mouth, and satisfying the eye. 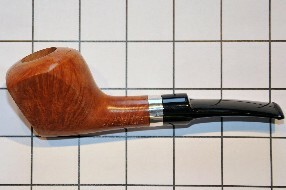 From then Müller has produced very few pieces (because for him the pipe is a hobby and must remain so) which he looks after religiously and which have been recognised at all the shows where they have been exhibited. From one pipe-man to another. How can one fail to mention Denmark, more for its pipe smokers than its pleasant pastures green? Denmark is surely a pipe-smoker's paradise, given that the Danes are true smokers. All over the country you can see young and old with a pipe in their mouth, chatting over a glass of beer. 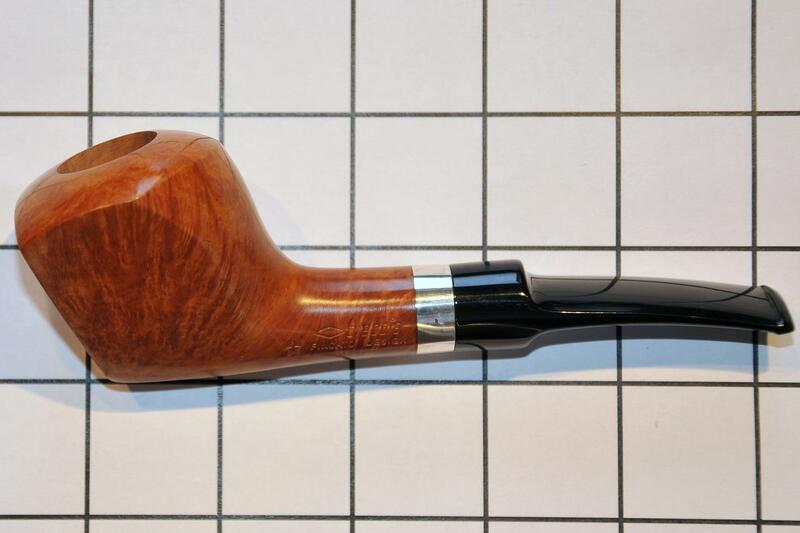 And it's not just the pipe you notice, but the typical Danish way of smoking it: each puff is small and drawn-out, thanks the danish pipe, which is small and practical. And if Denmark is a smokers paradise, Bjarne Nielsen is its ambassador, its stereotype almost. Bjarne is a true Dane, and if you have had the good fortune to met him you will know the true meaning of these words. Unruffled, always kind and smiling, with robust physique and bright, blue eyes. Just like all those other Danes, warm-hearted and happy, smoking Danish pipes in a Copenhagen pub. Bjarne loves his home, country walks, and beautyful things in general. He first smoked a pipe when he was sixteen, but his creative urge made him want to design a pipe his own, completely different from all the others. The result seemed a monster at first, but his pipe, so different from anything else, attracted the attention of his friends and acquaintances. They encouraged him and egged him on, towards something better, because they really liked the new pipe, once they'd got over the initial impact. 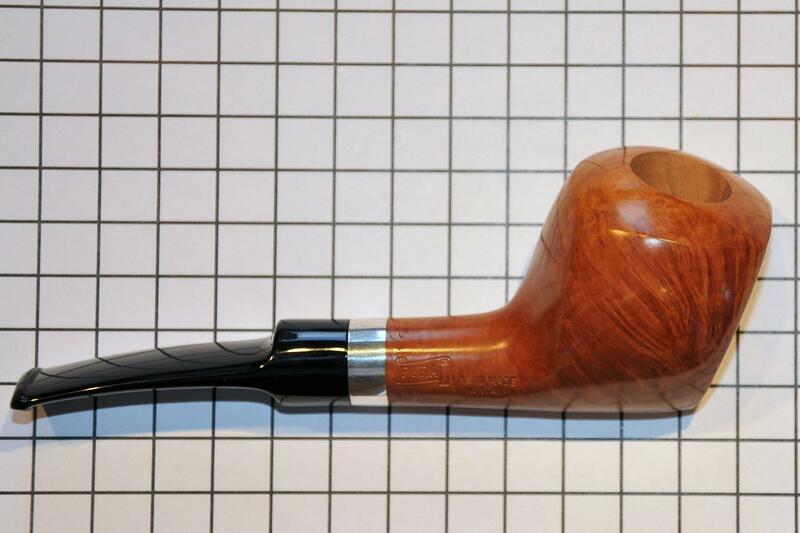 Thus was born the Bjarne pipe, and Bjarne himself wanted to make pipes that were not all the same, but with each one slightly different and at reasonable price. Bjarne was anle to set a trend, to see what was coming, and remain at the forefront of his trade. This of course meant that some freeholders can't bear to hear his name mentioned, but Bjarne is one of the biggest suppliers of freehand pipes to america and he is very well known all over the world. For Brebbia's "Great Designers" our beared friend has produced the very Danish "Niper" pipe, with the very futuristic metal ring. Sadly Bjarne Nielsen passed away suddently in 2008, he will be missed by all who knew him as a friend and colleague. There are pieces of wood and canavases with squiggles. But the common idea of what is meant by beauty has a very vague definition. Refined intuition and execution, or provocation of deformity? Modern art has taught us a lot, but the language it uses is rather hard to get at. Only by looking closely at what it says and making comparisonscan we possibly hope to understand something. Refined execution does not always make us feel something. On the other hand, though, we all have a sense of harmony within us, and when this comes out we feel pleasure and transform the object we are looking at into something sublime. This confirms thet man can rise above matter. Beauty can also be seen in everyday objects, and almost always when utility and beauty go hand in hand (minimalism). 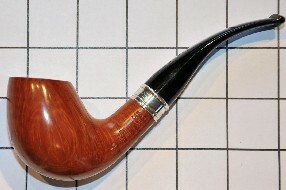 However, when deciding whetther a pipe is beautiful, there are other criteria which can be applied. 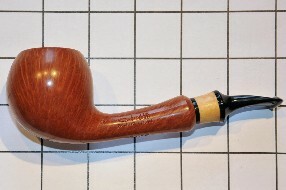 In the popular mind, the craftman's pipe is an even more complicated thing. 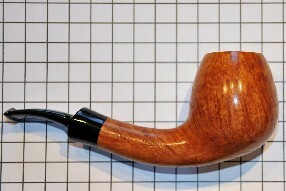 Because if it is fairly common to make a limited sreies of a certain pipe, the beauty and usefulness of the wood used must be interpreted, and therefore each pipe becomes a unique, never-to-be-seen-again work of art. Fausto Fincato knows this only too well. Indeed he has turned his passion for pipes into a living. He does not necessarily see deformities or anomalies as a negative thing, but has always seen the the exclusivity as a distinguishing feature because he was born well ahead of his time. Fausto Fincato was born in Padua on July 5th, 1940, but shortly afterwards went to live in Rome. The ten year-old boy was greeted at the door of 34, Via della Colonna Antinina by his aunt Emilia, who had a small tobacconist's shop less than two houndred yards from Palazzo Chigi (the Cabinet Office) and the Chamber of Deputies. Thanks to the felicious location of the shop, but also Fincato's great sense of professionalism and his passion for pipes, he was shortly to become a friend and adviser to the powerful, and would transform the little shop in a Mecca for serious smokers. A place not to be missed if you happen to be going to Rome. Among other activities was the March 1995 launch of "Smoking", a quarterly magazine completely dedicated to tobacco, an exclusive "Pipeman's Club" which was launched in 1990 in the renaissance house which once belongued to Cardinal Orsini, and now to the soon-to-be-opened "Casa dell'Habana", in the same historic building, which has been enlarged for the occasion. 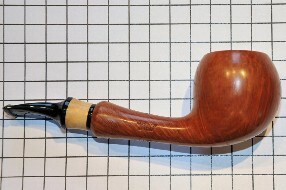 Fausto has made a very special pipe in well-seasoned briar for us, in the shape of a beautiful golf club. Perhaps this is another, more recondite passion, in a man who has apparently dedicated his life to his work. The tobacco chamber measures 19mm in diameter and 46mm in depth. Otto Pollner jr. is a retiredtobacco dealer in Bünde, Germany, and for us, children of the twehtieth century, used as we are to living in constant flux and with little security, his story may seem incredible. Otto Pollner jr. took over the family firm from his father, Otto Pollner sr., who hat taken it over from his father Carl. Carl had founded the company in 1878. Now the latest in the long line, Otto's son Otto-Karl, and his young wife, are running things. In this way, Otto is free from the day-to-day cares and can look after his countless crafts and literary activities. In the meantime, the firm has been run by four generations. What is the secret of their success? Old Carl had started off working on a lathe in a shop where the Pollner firm is now based. Remember we are talking about the early ninetheenth century, long before supermarkets ever appeared. in those days, people did their best to make the things they needed, or went to a craftsman. Craftsmen would create the objects ordered, following the customer's instructions, and often using materials the customer supplied. Now Carl was a pipeman, so he began making pipes. First for himself, and later on for customers who asked him to make them one. But they where one-offs: he didn't have a pipe production line. 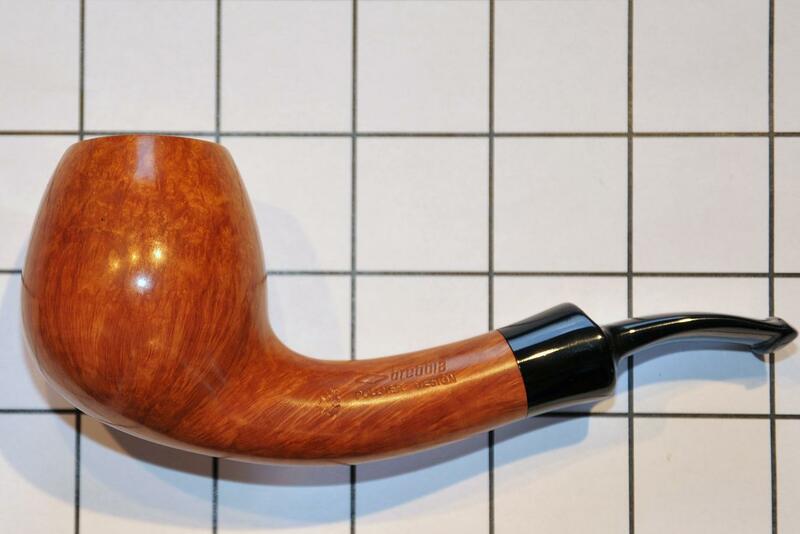 The success of the pipes he made by hand on his own lathe and customer demand meant his lathe workshop was soon changed into a pipe and tobacconist's shop. For four generations now, the Pollners have been supplying pipes and tobaccos, and their specialist shop is utterly charming. As has always been the case, the pipes and smoker's requisites are their main line in trade. But in conformity with the company philosophy of "Epicurean culture", they have branched out into quality spirits, fine Italian wines, and accessories. By doing so, this "living tradition" has been sensibly changed. there is nothing to disturb the atmosphere: none of the objects on display is out of place, and they are all in perfect harmony with the classical interior design, timeless yet accurate. Old Carl passed his free-hand lathe skills on to his son and grandson. It is a real pleasure to watch Otto jr. as he creates and models his objects on the old lathe in the workshop under the shop, as thoug he were a potter moulding his clay. In this workshop, Otto's undisputed kingdom, repairs are made and new stems produced. Another art handed down from one Pollner generation to another is that of the pipeman. Thanks be to God, they also live a long time: Carl Pollner lived to the ripe old age of 83 years, and Otto sr. 80, whereas Otto jr. born 23rd of May 1925 passed away in 2003, and smoked his pipe every day. The company museum displaysonly a fraction of Otto's output; most is kept in a huge salon in the house over the shop, and spread throughout other rooms. They are there to entertain both him and his friends, a lot of whom are pipeman themselves. It's a job, a passion, and a hobby all rolled into one. This may explain why hisfamous pipe books, among which may be counted "Pipe Smoking made easy", have been re-printed so often. His writings for "Tabakzeitung", "Pipe Club", and the current "Smoker's Club", wheter direct or reported, always give lots of useful information. 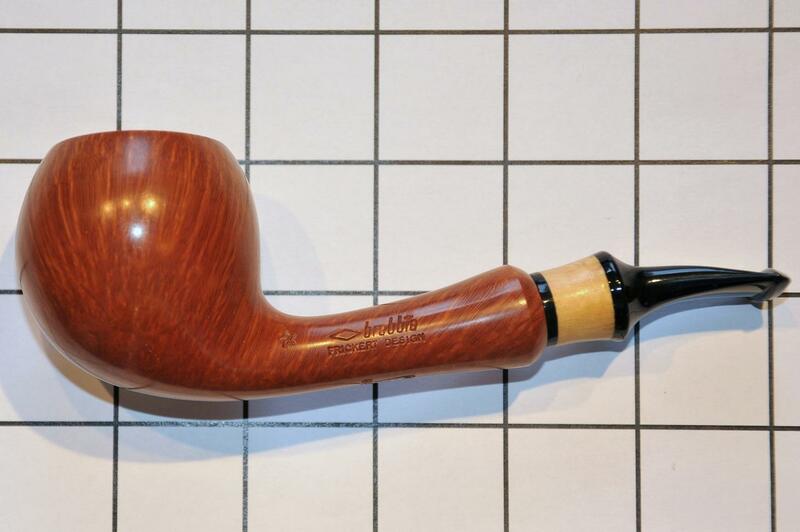 The international awards made by Otto Pollner show without a doubt his passion for pipes. He has been a member of the international Pipe Academy since 1986, the CIPC-Club in Brema since 1990, and the "Confrérie des Maîtres Pipiers de Saint-Claude" since 1992. He has been working for the world famous tobacco and cigar museum in Bünde, a reminder of the likns the city has had with the tobacco and cigar industry since 1843. As well as seeing the more than 300 pipes on display, all rare and historically fascinating, visitors can visit the nineteenth-century "fumoir" and view real smoker's armchairs and other precious items. There is also an old cigar-wrapping factory, and a collection of smoker's objects so refined that it is easy to understand that smoking used to be a pleasure, before it becames a health risk. Otto Pollner has made a classical pipe for us, elegant and balanced, perfectly in keeping with his style. Sadly Otto Pollner passed away in 2003, he will be missed by all who knew him as a friend and colleague. The tobacco chamber measures 19mm in diameter and 43mm in depth. The tobacco chamber measures 21mm in diameter and 39mm in depth. The name of Holger Frichert is closely connected with Dan Pipe. In 1972 Heiko Berens, a pipe enthusiast , set up Dan Pipe. At that time nobody in Germany knew about the creative genius of certain Danish artists of the calibre of Former, Emil Chonowitsch or Paul Hansen. These pipes were different but also very expensive and Heiko, who was a pedagogue with a passion for pipes, possibly because of his professional background, in 1972 decided to present them, printing a small catalogue which he called Danske pibe, circulating it among his smoker friends and pipe clubs. 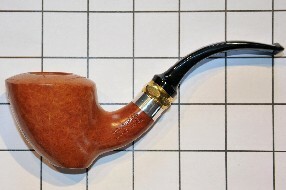 The first mail-order sales of pipes in Germany were thus set up. In 1977 came a great turning point when Holger Frickert became a partner in Danske pibe. 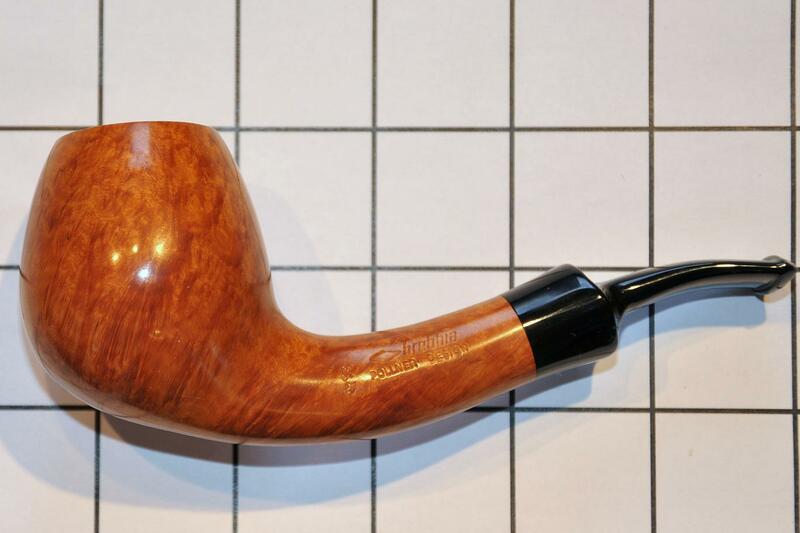 Sales had stagnated and Danish craftsmen had found a natural place in shops where collector, considering the high prices of the pipes, could better select and evaluate the shapes, quality and veining of the briar, by touching and comparing them. Frickert, born in 1949, at that time qualified as a dentist. He was familiar with Danish craftsmen because he often went to Denmark on holiday. On the one hand he was fascinated by the innovative design of Danish pipes but as a smoker he did not approve of certain extreme aspects which meant that they were not easy to use. As he was good with his hands he had fun carving his own pipes, developing a personal style way between the creativity of the Danish craftsmen and the rationality of British models. Heiko was aware of Holger’s feeling for appearance and his manual skills. It did not seem true to Holger that he could spend his time at creative work such as producing a catalogue and transform his hobby into work. Many difficulties had to be overcome. While in the USA there is logic in mail-order sales because the smokers are a long way from the shops, in Germany everyone can find a pipe shop close to hand. They had to produce an artistic catalogue of branded pipes which were not too expensive but were innovative in design and which smokes would want, keeping costs as low as possible. A well-made catalogue is very expensive, as is its distribution. The only possibility was to do as much as possible in house, especially photographs and graphics. They also needed a direct link with the public to understand fashions and trends. Rainer Tornow joined company in 1983. 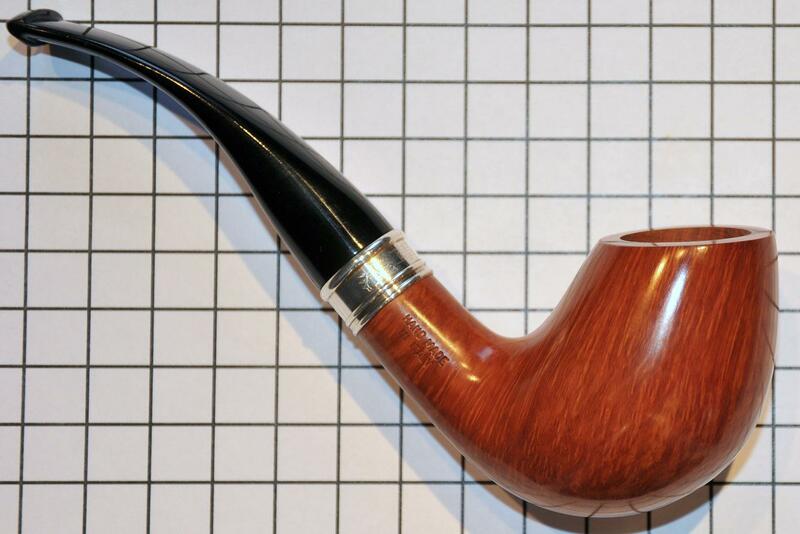 He enriched the theme of pipes and tobacco, and being responsible for the direct relationship with the public, perceiving the fun and recreational aspect of the pipe. The date also coincided with the transfer to the new Curslack site, to an authentic factory of the 1800s with straw roof. This representative site contributed to Dan Pipe’s success even at the international level. At this point everything seemed possible and success became unstoppable. Sab Tsuge is the Rising Sun’s only great designer, almost a star in a dark sky. There are many craftsmen in Europe and while the pipe is deeply rooted in our tradition and can be seen everywhere, especially in the past, throughout the East it is linked to a few collectors, although it has gained popularity in recent years. In Japan respect for other people is such that even a person with a common cold wears a paper mask in public to avoid infecting other people. 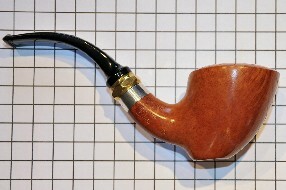 Smoking a pipe is something don intimately at home and with extremely refined it is uncommon. Sab Tsuge is from an artistic family. He was raised around pipes and around the making of things, around craftsmanship. He loved make things when he was younger , and he thought pipes were wonderful and beautiful. In 1992 he gained the title of “Pipe Knight”. His factory was founded in 1938 by Kyoidiro Tsugr to produce ivory cigarette holders. 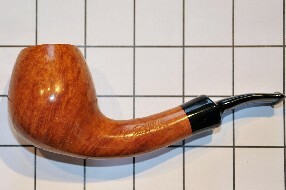 As during the war cigarette paper was not available, the Tsuge family made their first pipes using cherry wood and as soon as they could they imported briar from Europe. After that Tsuge pipes began to be exported and to win acclaims from pipe smokers and collectors abroad. Kyoichiro had three sons who completed their studies in Europe and here were able to learn and perfect their style and understand the taste of smokers in the 1960s. Danish influence was definitely very great at that time. Together with an annual production of about 20,000up-to-date pipes, intended from the internal market managed by the brothers, ever year Tsuge produces about 150 pipes called lkebana which often sport freeform ferrules in ivory, silver and gold. These pipes are some of the most popular on the collectors’ market, even though they are very expensive.